The beinArt Collective is an international network of highly skilled figurative artists with a shared fascination for strange and imaginative themes. 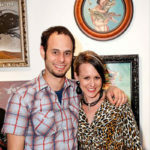 Jon Beinart, the group’s founder, launched his 5th curated show in the United States at Copro Gallery in Los Angeles, CA. New work by more than fifty five artists was showcased at the beinArt Surreal Art Show 2016. 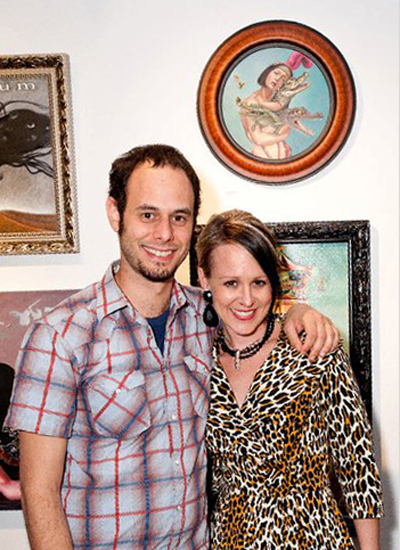 FSU Art Associate Professor Carrie Ann Baade exhibited her most ambitious painting to date, Allegory of Bad Government. She attended the opening reception on February 20, where members of the contemporary imaginative art movement came together for the beinArt Collective’s Copro Gallery show. 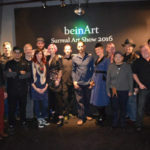 While Jon Beinart began the international collective since 2005, he conceived the internet based collective in 2003 as a small online community for isolated Australian artists. The platform grew to include international artists, bringing together marginalized painters and sculptors from a variety of countercultures throughout the world. The beinArt Collective and its serendipitous rise with social media platforms generated a beacon of hope for figurative artists interested in the bizarre and dark corners of the human psyche. “It was an electric moment where artists were finding each other on social media like Myspace and later Facebook, and also referring back to the beinArt Collective page as a unique visual index,” says Baade of the Collective’s early days. Her work was placed alongside that of her artistic heroes, the mentors of the 20th century. Overnight, her work and the work of other unknown artists was recognized amongst a pantheon of highly skilled painters of the imagination drawn together by Beinart. 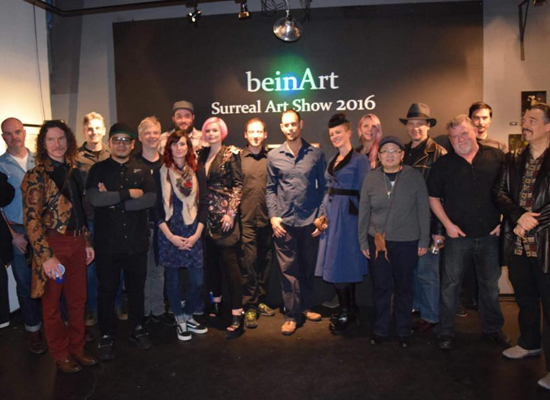 A successful Kickstarter campaign raised enough funds for Beinart to open a brick-and-mortar gallery in Melbourne, Australia. Baade’s work was also included in the gallery’s inaugural exhibition, which opened March 12. The beinArt Gallery will exhibit the work of the international beinArt Collective and that of local Australian artists.